This post is a little over due, but now that the big lake is thawing out, kiteboarding is on the mind. 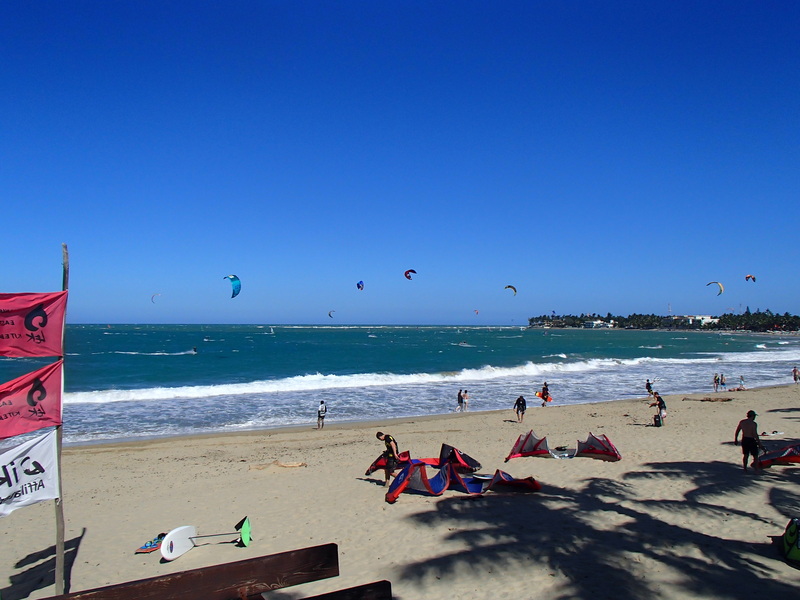 At the end of February I took a week vacation to the northern coast of the Dominican Republic and stayed in a small town called Cabarete. 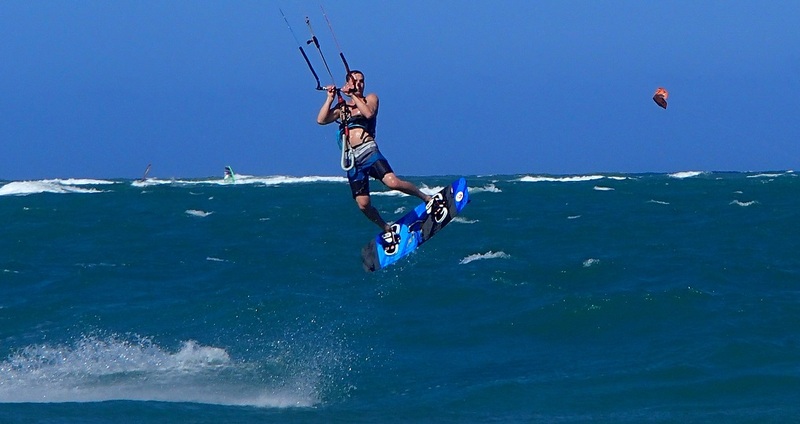 It is known throughout the world as a good spot for kiteboarding and windsurfing. This post is going to be a review of the experience. First off, I’d like to say that my wonderful girlfriend accompanied me on the vacation and she was awesome, going with the flow in a really different country. We flew into Santiago, DR because I was able to save about $800 by doing so, but there was a closer airport in Puerto Plato that if you can fly in there would be much better. The taxi trip from Santiago sucked, but maybe that was because it was either late at night or super early in the morning when we where coming and going. It sucked because the roads were bad, drivers are crazy and you get car sick going through the mountains. 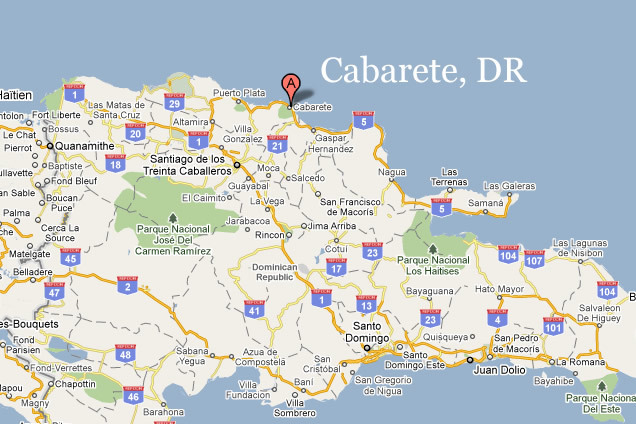 Once we got to Cabarete, it was all good. We stayed at the Millennium Resort which was also right next to Laurel Eastmans Kiteboarding (LEK) school. About the resort, it was phenomenal. Not all inclusive, but we really weren’t looking for that. It did have a restaurant and bar on site by the pool which was really good and had great service. The hotel was clean, comfortable, modern, stylish, and within walking distance of nightlife and groceries. However, warning, I would not walk back at night by yourself or in a very small group as you can be mugged. A canadian couple we met were walking back on the beach not paying attention and got mugged. They had their cell phones taken. The restaurants on the beach are really cool though and have great food. Another nice thing is that the dollar goes a long way down there. Now the kiteboarding. I decided to try renting gear so I didn’t have to travel with mine and I figured I would almost break even either paying baggage fees or renting. At LEK you just tell them what size kite and board you want and you’re on your own from there. They did have an air compressor to inflate the kites, which was a plus. The gear was definitely used. I flew Core, Ozone and Star kites. They were really all similar. I would probably say I enjoyed the Ozone the most but that was probably because I was flying a 9m and when I flew the other two, they were 12m’s. We lucked out with weather and conditions the week we were there. It was raining the night we arrived and forecast to rain the day we left, but the entire week we were there it was mostly sunny, dry and windy! Every morning there would be breeze out of the east and then around 1 or 2 pm it would pick up and blow hard until 6 or 7pm. Early in the week it was probably blowing up to 20 or 23 knots and then later in the week when I was on the 9m it was probably blowing up to 30 knots at times. The locals say don’t pay attention to the wind forecast. If the breeze is out of the east and the sun is out, there’s gonna be wind. I would have to agree with this. Oh yeah, and it was in the 80’s everyday with water temperature around 75 degrees. The beach area was open enough in areas to have plenty of room to launch and land safely, but you do have to watch for walkers and other kiters. Learning would’ve been a challenge in my opinion the week we were there. Mostly due to a huge shore break and very choppy conditions in the bay inside the reef. The shore break was anywhere from knee to head high and came up quick and came down even quicker and hard. Many people, including myself once got taken out and their kite tied in knots from this. Once past this, like I said, CHOPPY, on the inside until you got out to the reef where there would be smooth sets of breaking waves rolling in. This was the most fun area to ride even though it was probably a half mile out from shore. Early in the week the swell was larger with quite a few head high waves and later in the week it was more of the waist high variety. Our last day at the resort there happened to be a King of the Ocean competition which included surfing, windsurfing and kiteboarding. The real cool thing about this was that I got to meet and watch a local West Michigan pro rider who was there competing. Overall, it was a really good trip with lots of kiteboarding and wind and waves. Here is a video of some of the riding there I was able to record from a helmet cam and a kite cam. A lot more foam on the ocean than Lake Michigan. Hopefully you can get an idea of how it was out at the reef and in along the shoreline.